The other day I was watching Nam June Paik’s Global Groove as part of my research for my upcoming MoMA Course. 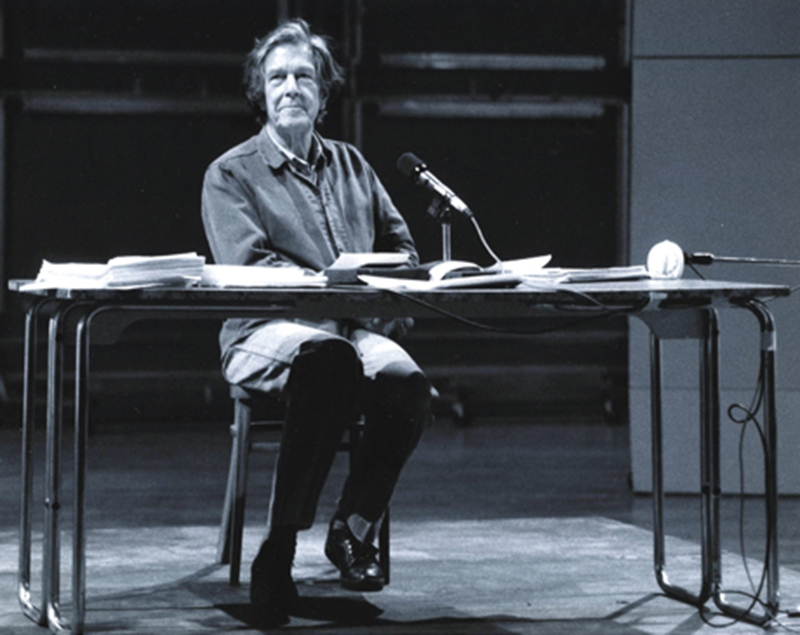 Embedded into the work is a lecture by John Cage, talking about his legendary visit to an anechoic chamber in which he could only hear two sounds: his nervous system in operation and his blood circulating. The essence of sound? Yes, since we hear them every day during our waking our hours, and most likely they are the soundtrack for our dreams at night. The idea of stripping down our experience of sound to these two fundamental audio signals suggests the importance of clearing the mind of all extraneous information except that which matters most. Pure sonic experience as it relates to the body. As a composer, this makes sense. The composer, at least traditionally, works with sound and shapes it as material into some kind of experience. Understanding the most essential nature of audio material seems central to what it means to be a composer. But what if you are a composer of media? What if your embrace of composition is unlimited in terms of material: when anything and everything can fit and be absorbed into the composition. In constructing a new work, you are faced with the sheer magnitude of choices available, and this can be such a daunting proposition, that it can freeze if not paralyze your ability to work. So as always, John Cage brings some clarity to the situation. Cage, in his embrace of Zen Buddhism, understood the importance of clarity and simplicity in the creation of art. He understood the importance of reducing one’s focus to absolute simplicity, and from there, you could expand as far as the mind and the imagination can go. So in watching Cage read in Global Groove, I was struck by the sheer power of his words, pure thought expressing an idea as simply and succinctly as possible. A composer reading a text is already a complete multimedia gesture: image, sound, word, and performance. It’s all there. If an idea can be communicated from the most reductive means possible, then there is reason to enlarge the experience using whatever means are necessary. Just as the nervous system humming or the blood circulating is the essence of sound as material for musical composition, then perhaps the artist reading a text might just be the most natural way of delivering a multimedia work. If the work can “sing” in this compressed mode of expression, then it there is a need, an urgency, to build out the remaining structure. A mouth, microphone, and words on a page are all that it takes to shape a good idea: nothing more, nothing less. and returns to the watery depths of the Otherworld… the Source. Will Orf come back? Only time will tell. But one thing is certain: Water is to Orf what blood is to the Vampire.